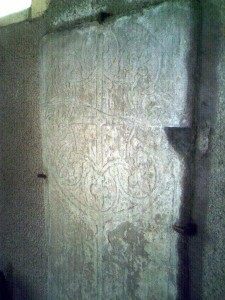 The church was recorded in 1291. In 1504 Hugo Harries may have been the Rector. In 1513 and 1517 the church was exempted from payment of the King’s Tithes. In 1535 Thomas Lloid was the Vicar of “Llantwyd”. It was valued in 1537, together with Monington Church, at £6. 13s. 4d.. There is a chalice here, inscribed “+ POCVLVM – ECLESIE + DE + LLANTOT 1574.” In 1603 the church was still valued at £6. 13s. 4d. with Monington. In 1614 reference was made to: “…The church of St. David at Llantood…” Later the dedication was changed by the parishioners on the probably incorrect assumption that the name of the parish is derived from the name of St. Illtud. On 3rd January 1624 Edward Provand became the Vicar of St. Dogmaels, Monington and Llantood – perhaps the first to have held all three parishes. In 1640-62 the Vicar (of the three parishes) was Rev. John Vaughan. In November 1662 Rev. John Vaughan’s Nonconformity led to the sequestration of his churches and he was ejected from his post. In 1674 Rev. Rice Howell was the Vicar. Rev. Thomas was the Vicar of St. Dogmaels, Monington and Llantood in 1675. In 1681-87 the Vicar of the three churches was Rev. Owen Evans. In 1684 Mathias Philip and David Thomas were the church-wardens. 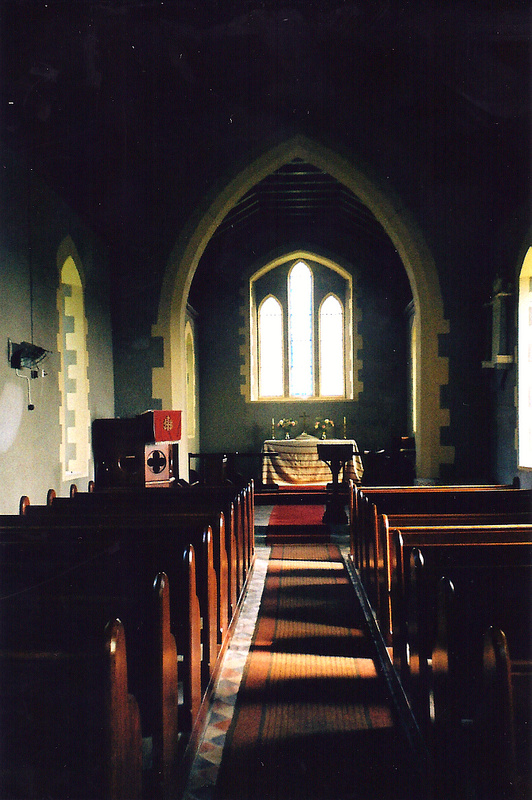 In 1684 David Griffith of Tredefaid and David Lloyd of Croesyforwyn were bickering over the use of one of the pews. William Thomas was excommunicated that year for non-attendance. In 1687 Rev. John Evans succeeded Rev. Owen Evans as Vicar. By 24th July 1728-37 Rev. David Lloyd, second son of John Lloyd of Fagwrgoch, was the Vicar of St. Dogmaels, Monington and Llantood. In 1738-45 Rev. Morgan Gwynne was the Vicar of the three churches. On 18th August 1756 Rev. William Harries probably became the Vicar of the three churches until about 1760. In 1769 Rev. Lewis Walters became the Vicar. On 30th March 1776 Rev. William Jones became Vicar and held the three churches. The church was rebuilt in 1820-21. A small slate tablet in the vestry fireplace reads “…Llantood rebuilt 1820 D GRIFFITH C-W…” On 31st October 1825 Rev. William Jones died aged 76. He left sons Thomas Morgan Jones, William Jones, Rev. John Jones, Daniel Jones and Rev. James Jones, and a daughter called Margaretta Catherine Jones. On 1st August 1826 Rev. Henry James Vincent became the Vicar. The Parish Chest is inscribed “…Llantwd Parish 1830 Rev. W H VINCENT, Vcr/JNO GWYNNE, Chch Warn…” The church was said to have been re-erected in 1844. In 1851 there were 35 attendees on an average Sunday. 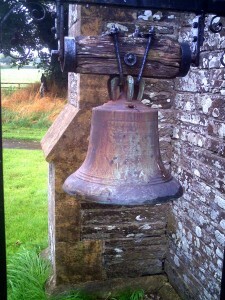 In 1859, during a visit by the Cambrian Archaeological Association to Cardigan, a chalice dated 1574 and an ancient bell from the church, were placed on display in the town. In 1862 Rev. John Jones became the Curate. In 1865 Rev. Henry James Vincent died. In 1865 Rev. 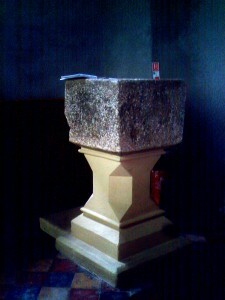 B. Shadrach became the Curate. On 11th September 1865 Rev. 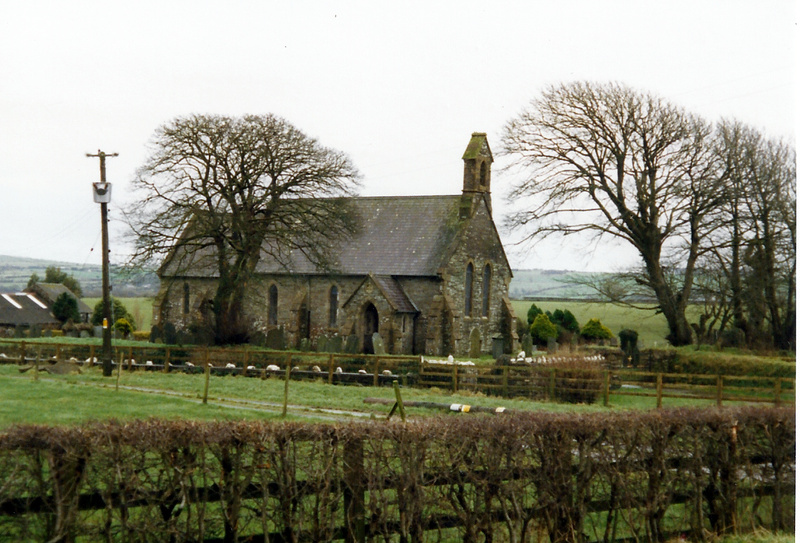 Daniel Jones became the new Vicar of St. Dogmaels, Llantood and Monington until 1868. In 1866 Rev. John Williams became the Curate. In June 1868 Rev. Daniel Jones died aged 56. On 20th August 1868 Rev. Henry Jones became the Vicar of Llantood, St. Dogmaels and Monington. Rev. Henry Jones was the Vicar in 1868-75. On 15th March 1878 Rev. Edward Thomas Jones became the Vicar of Llantood, St. Dogmaels and Monington. On 29th September 1882 it was proposed that the church be restored. The church was rebuilt in 1883-84, 7 feet northwards of the original, at a cost of £845. On 3rd January 1883 Rev. John Price Evans, Curate, married Rebecca Lloyd, daughter of the late Richard Lloyd of Panteg, St. Dogmaels. Rev. Edward Thomas Jones, Vicar, presided. On 19th October 1883 Evan Evans of Eglwyswrw, builder, was seeking plasterers to plaster the interior of the church. It re-opened on 14th August 1884. Some old carved heads were retained in the porch. Evan Evans of Eglwyswrw had been the contractor, and David Davies of Penrhiwllan, Llandysul, was the architect. On 16th November 1884 Rev. Edward Thomas Jones retired. In 1884 Rev. Thomas Jones became the Vicar. In January 1894 Mrs. George of Rhydgarnwen donated a new altar cloth to the church. Rev. Jenkin Griffith Hughes was still the Vicar here until 1931. In 1931 Rev. T. Twynog Davies, Rector of Bridell, became the Vicar of Llantood in addition to his other parish. He left in 1934. In 1935 Rev. Jenkin Richards became the Vicar of Llantood and Bridell and remained so in 1943. At Easter 1939 there were 10 communicants. In 1951 Rev. W. T. Gravell became the priest in charge of Llantood and Bridell. The building was listed in 1952, but was removed from the Historic Buildings Register in 1994. On 31st October 1960 Rev. W. T. Gravell, Rector, died aged 49. In August 1974 Rev. Meurig Davies became the Vicar. In 1984 Rev. Euros L. Thomas became the Rector and was rector in 1984-2012. The church closed to services in 2012 owing to the dangerous condition of the bell-cote gable end. Rev. Euros L. Thomas died in 2013. 1883-4 small Anglican parish church in stone with pitched slate roofs with coped gables and cross finials. Three window nave with W end bellcote and 2-window lower chancel, buttresses between openings and to angles. Nave has stone N porch to W bay with gabled front, slate roof, pointed Gothic arch and retaining two re-set medieval stone carved heads flanking door. Small side lights. Remaining openings are lancet-type with pointed arched heads, smaller to chancel. W end has two tall lancets of equal height. 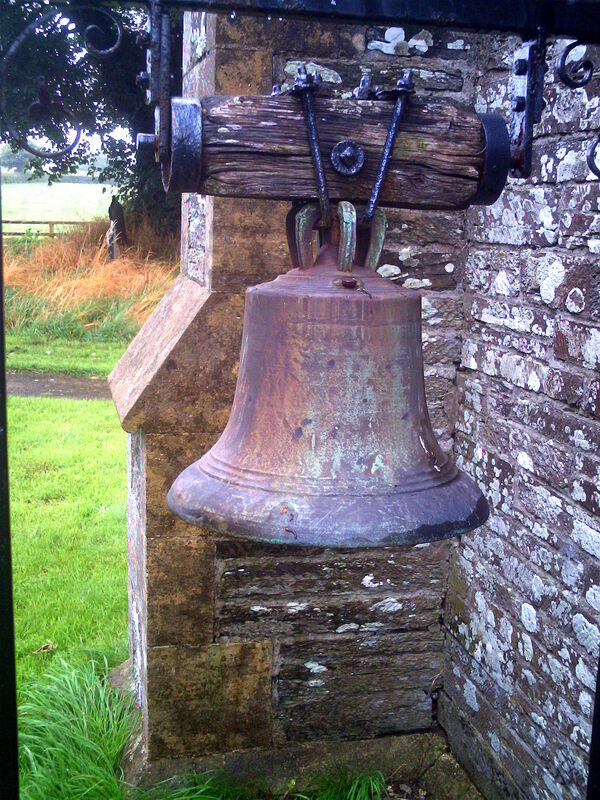 Bellcote has shouldered base, arched bell opening and steep pitched capping. Buildings of Architectural or Historic Interest – Cilgerran. Julian Orbach, CADW 1994.